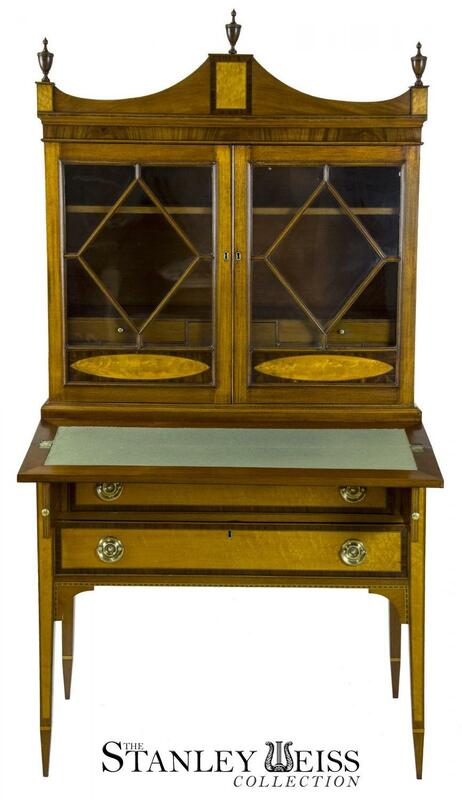 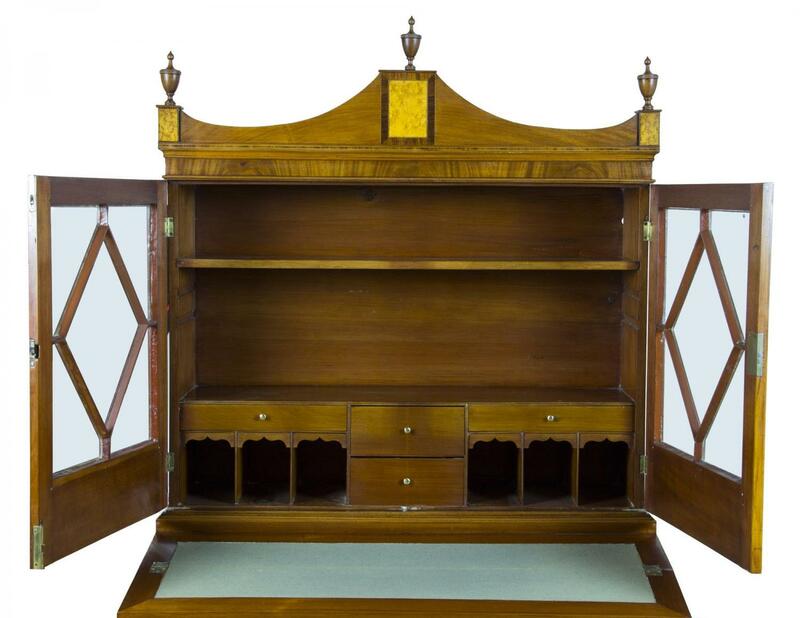 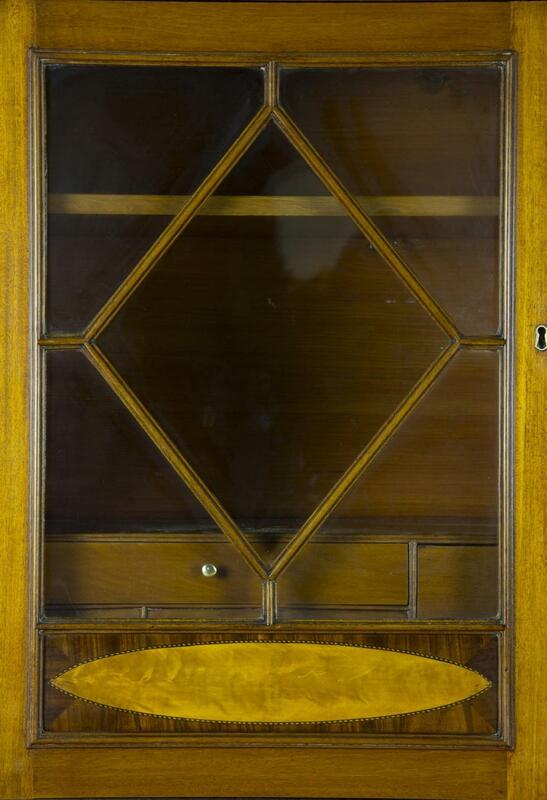 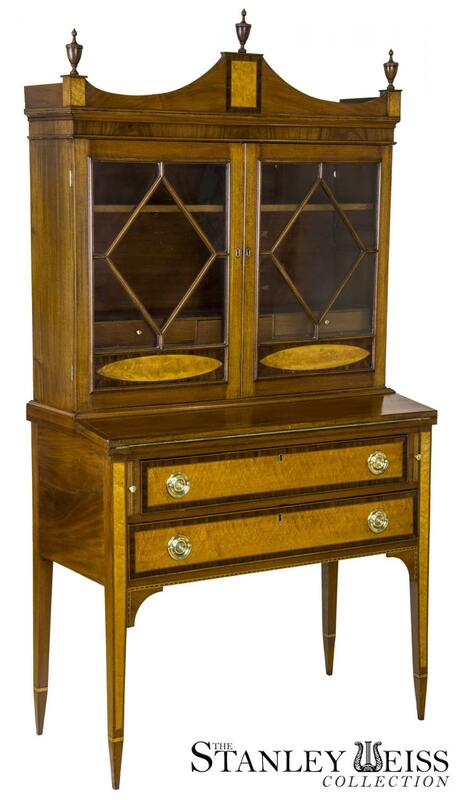 This is an exuberant, high style secretary that employs the use of contrasting wood typical of Hepplewhite design furniture that gives a dramatic eye appeal. 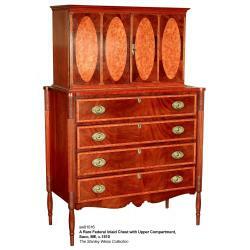 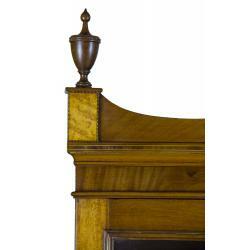 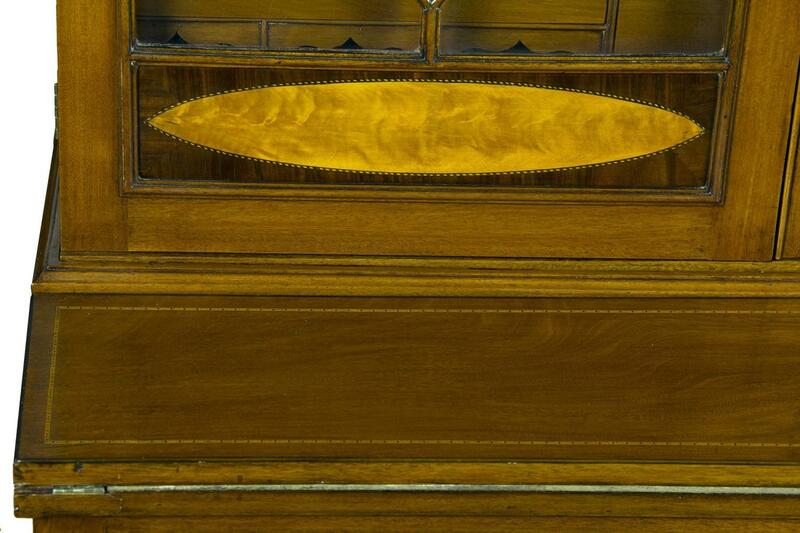 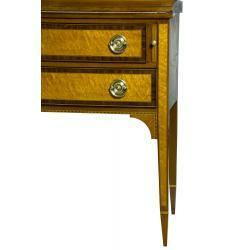 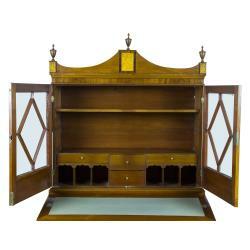 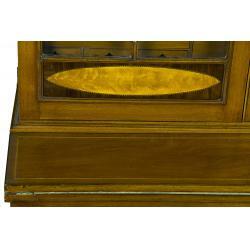 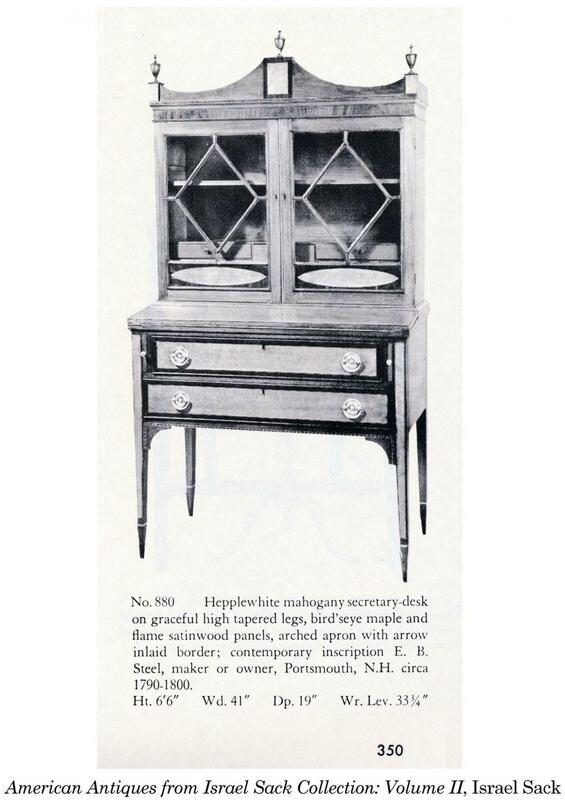 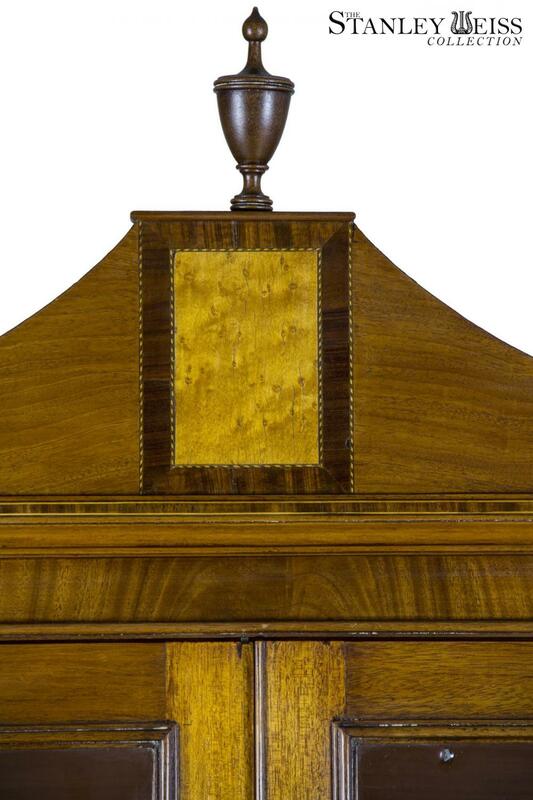 The use of contrasting veneers was a stylistic movement by designers like Hepplewhite to moved away from the heavy Chippendale mahogany pieces of the later 18th century. 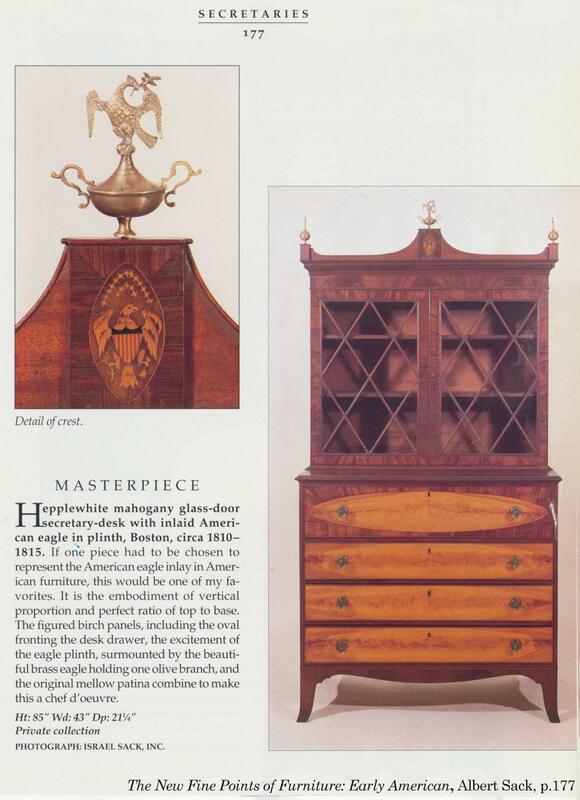 This secretary was handled by two prominent dealers (before coming to us) and was illustrated in Sack’s American Antiques from Israel Sack Collection: Volume II, p.350. 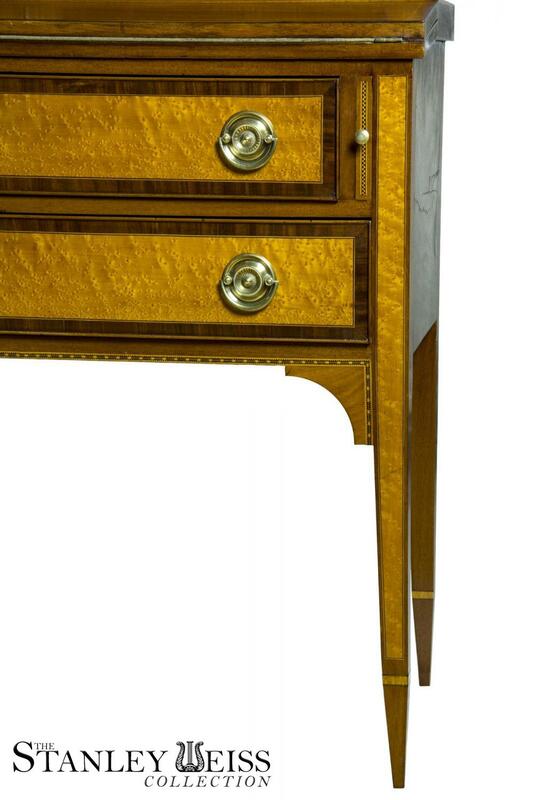 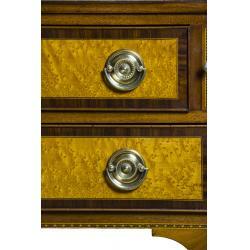 The use of inlaid ovals makes a defining statement. 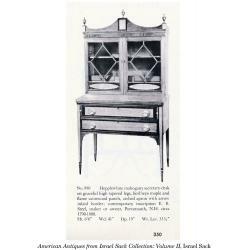 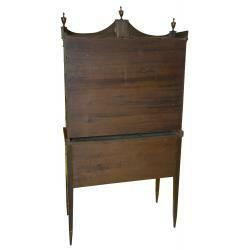 Note the example Sack shows in The Fine Points of Furniture: Early American (see below). 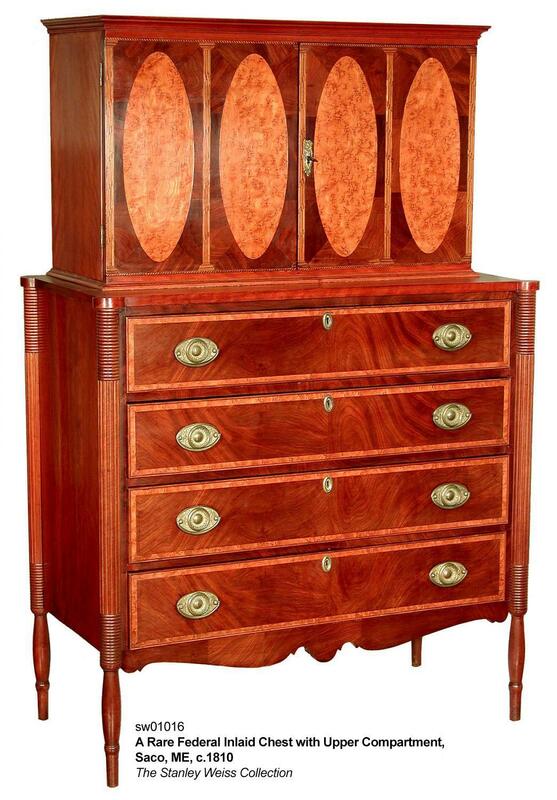 Another example of the oval pattern at work in Northern New England design can be found on an inlaid Federal chest from Saco, ME (see item sw01016 in our collection). 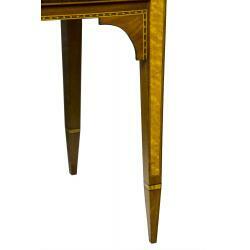 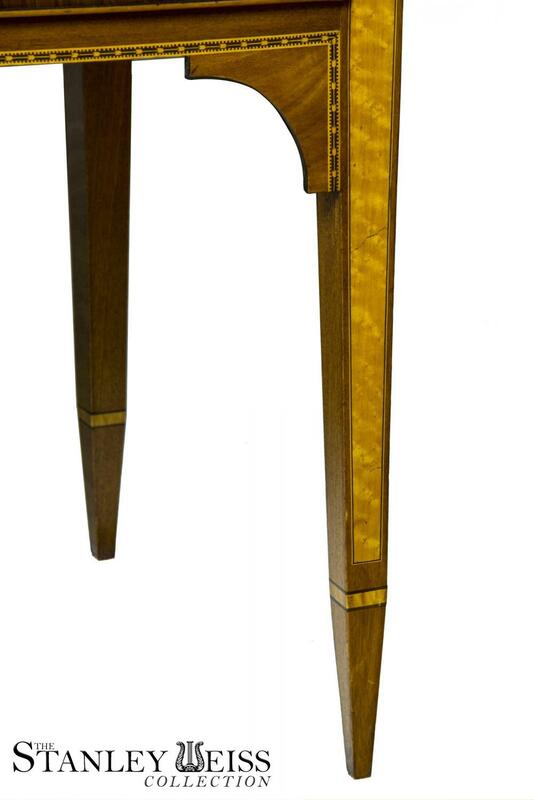 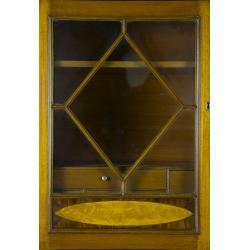 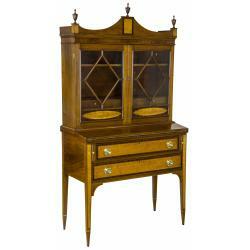 Other interesting notes are the diamond shaped mullions and the tall, fully inlaid legs. 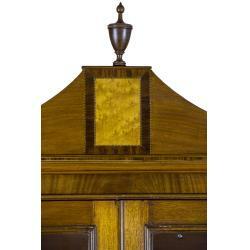 The brasses are original, as are the finials, and there are no breaks or alterations whatsoever. 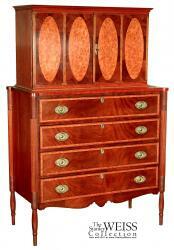 As far as origin is concerned, Sack considers this secretary to be a Portsmouth, NH piece. 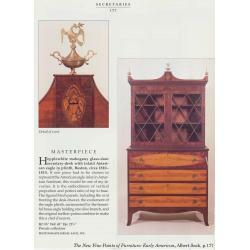 The Portsmouth school of furniture making is one of the great New England furniture centers, and was most recently discussed in Brock Jobe’s Portsmouth Furniture: Masterworks from the New Hampshire Seacoast. 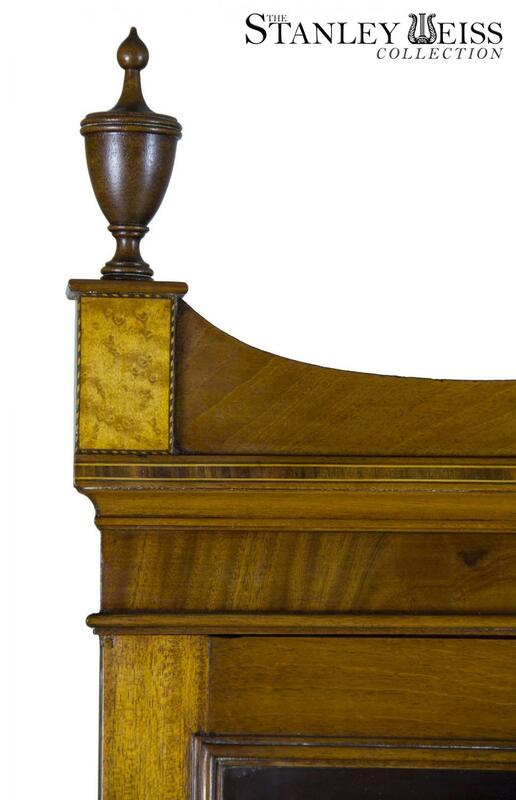 Height: 78 in. 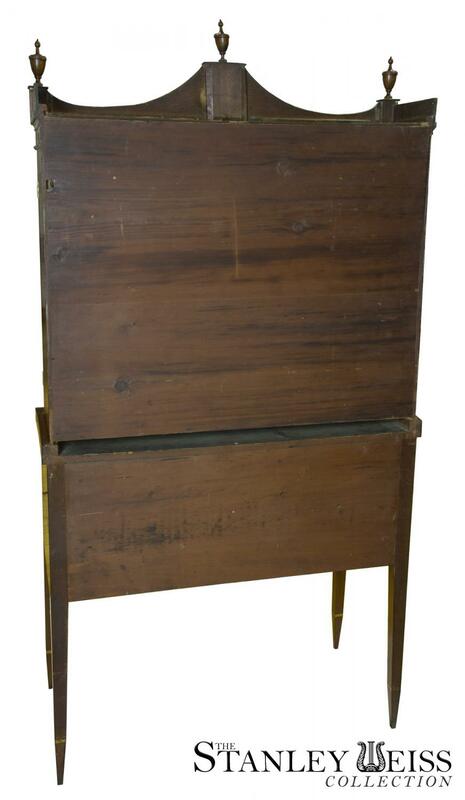 Case Width: 41 in. 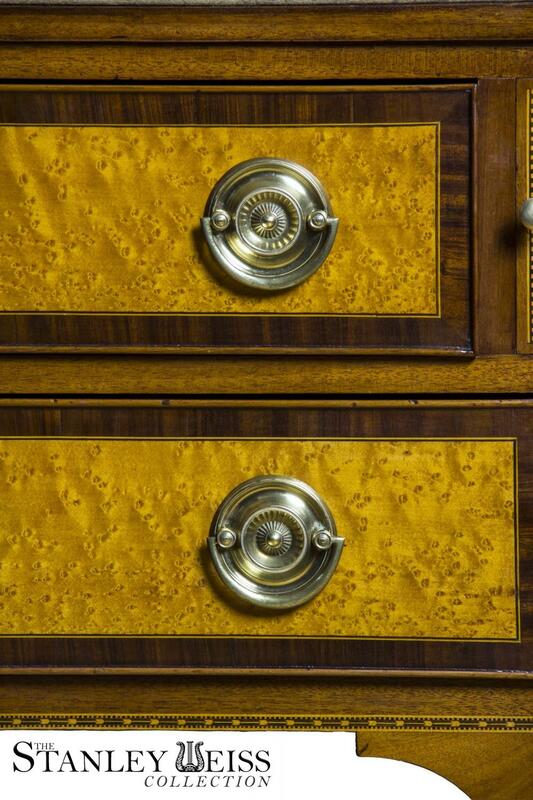 Depth: 19 in.